Leon Goretzka was one of the shining lights in an otherwise disappointing 2016/17 season for Schalke - and the midfielder's upturn in fitness and form was no coincidence. 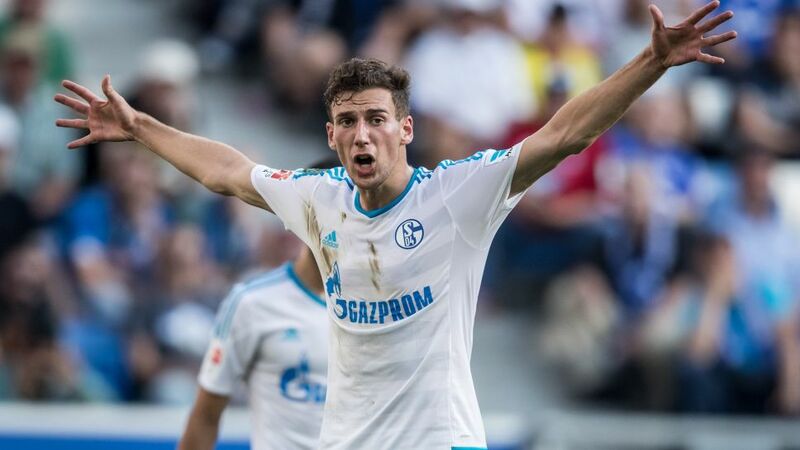 Described as a "once in a century talent" by Peter Neururer, his former head coach at boyhood club Bochum, Goretzka moved to the Royal Blues at the age of 18 in July 2013. Carrying the label of Germany's 'Next Big Thing' must be a daunting prospect at the best of times, but Goretzka never had the chance to live up to his billing on a regular basis due to a string of injuries. Since signing for Schalke, the now 22-year-old has missed 46 Bundesliga matches - or over a third of all the club's league games - as a result of muscle strains, ligament damage and illness, among others. However, a trip to a nutritionist prior to the recently-ended season was to change all that. "The fact things are going better for me now than they were in previous years is because I feel fit," he told German sports magazine 11 Freunde. "I changed a few things and as a result I have fewer issues with my health. I completely changed what I eat. I was diagnosed with a chronic bowel inflammation […] which had a negative impact on my ability to recover. It was caused by different foods. Since I've stopped eating gluten, cow's milk, pork and nuts I can recover from a game much quicker." That is reflected in the statistics. In 2016/17 Goretzka played in 30 of Schalke's 34 league games, as well as all nine of their midweek UEFA Europa League outings and two DFB Cup fixtures. He had never previously been able to feature in as many matches in a single season. In 2015/16 he played 34 games in all competitions, and managed just 11 and 32 respectively in the seasons prior to that. Goretzka also scored more goals than ever before (five) and earned widespread praise for his composure on the ball, vision and positioning. The reason, he says, is simple: "If you're injured then your focus is only on getting back to the level you used to be at. If you're fit, you can work on reaching the next level." The Schalke mainstay is now aiming to do just that, saying he wants to "become more dangerous in front of goal, and improve in lots of other areas too, such as my strength, stamina and technique." His efforts have not gone unnoticed. Germany head coach Joachim Löw called him up to the senior squad for the Confederations Cup, with Goretzka starting in the first two group games and excelling in the 4-1 semi-final win over Mexico. "He's one of the most talented players of his age category," said Löw at the end of 2016. "He's got very good technique and has a lot of pace, both with and without the ball. He's also got character and comes across as someone very mature for his age." Praise indeed from the man who guided Die Mannschaft to the last World Cup title. And with Goretzka now fit, injury-free and eager to progress further, the future looks very bright indeed for both Schalke and Germany.